In Bogor, tourist sites most frequently visited I choose Puncak, Bogor, because I've watched on television when frequent traffic jams on the way to the summit, hehehe. Sure, but it is also a lot of artists and people who love holiday jakarta to highlight just for refreshing and eliminate fatigue. Back to the inscription Batutulis located at Jalan Batutulis, Ex. Batutulis, district. South Bogor, Bogor City. The complex of this Batutulis inscription has an area of ​​approximately 17 x 15 meters. And the inscription Batutulis contained in the site is considered the capital of Padjadjaran and still be there, that was still in its original location and also the name of the village where the location of this site is located. 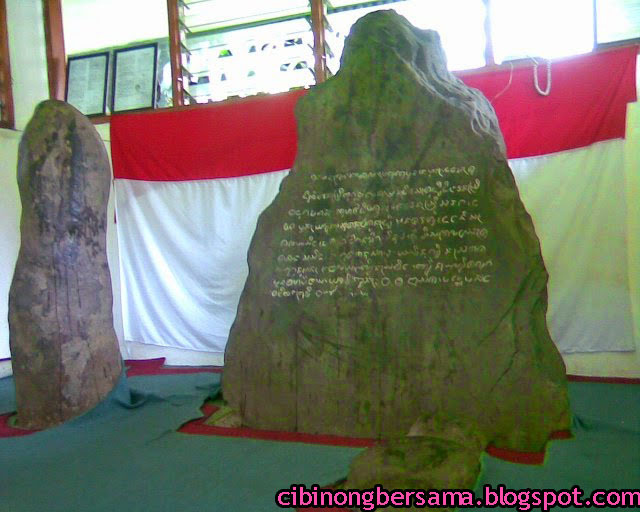 Inscription stone and many other objects which are relics of the Kingdom of Sunda is contained in a complex. 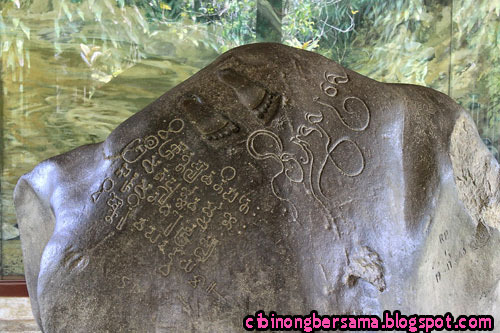 On this stone is also engraved sentences written in Ancient Sundanese language and script. This inscription is also written that there are numbers that in 1455 Saka (1533 AD). crowned (again) for her by name Baduga Maharaja Sri Ratu Aji in Pakuan Pajajaran Sri Queen of the Gods. It was he who made the trench (defense) Pakuan. He was the son of the god Rahiyang Niskala which dipusarakan in Gunatiga, grandchildren Rahiyang Niskala Wastu Kancana that dipusarakan to Nusa ban. It was he who made the warning signs in the form of mountain-mound, making steps for Samida forest, making Sahiyang Ponds Rena Mahawijaya (made) in (year) Saka "Panca Pandava Carry Earth". That's about the existence, once wrote there is interest for historical tours, hehehe ... if I, the author of this blog yoshiewafa personally heck ya love historical sights integrated with nature as the Bogor Palace is located in the Bogor Botanical Garden, although the inclusion of a little hard yes but very high historical value. Well I guess just like that, yes Batutulis information about the sekarag inscription has become one of the tourist attractions in Bogor that I can give to you. I quote from wikipedia information. Hope it is useful.